Commemorate your Veterans service to our country with this traditional handsome flag case. Perfect to honor our distinguished military service members, veteran heros and other uniformed heros as police officers and firefighters. This flag case has a glass front and removable back panel with turn button closures. 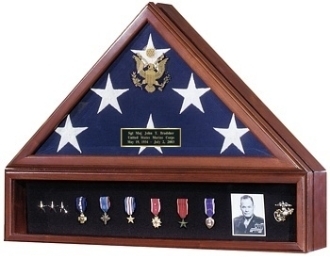 This unique medal display case adds beauty and compliments your Veteran flag case perfectly. 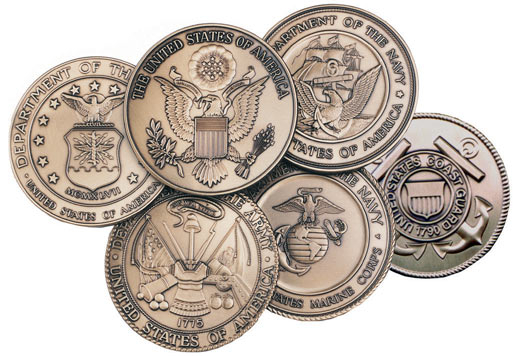 Use it to proudly display awards, medals and memorabilia. It features a glass front, black Velcro™ friendly insert including Velcro™ tape and instructions for easy mounting of memorabilia. It opens from the back with turn-button closures. 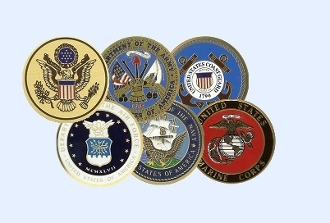 Orders for the Veteran Flag Case and Medal Display Case Featuresare usually shipped out within one business day to places within the USA and Canada.